The Biscuits and Blues stage has become a haven for the most renowned blues artists worldwide to share their rhythm and soul in a close-setting with the audience. Preserving the Blues since 1995! Biscuits and Blues is excited to announce they will now be opening their doors for shows every Sunday starting June 1. With their first dinner show starting conveniently at 7 p.m. and the late cocktail show at 9 p.m., this allows guests to wind down their weekend with earlier shows, ending perfectly in time to start the new week fresh and relaxed. The following list of headliners is only a small sampling of the acts to come, and all interested parties are encouraged to visit http://www.biscuitsandblues.com/lineup to view the June calendar of shows in its entirety. Thursday, June 5, Nick Moss and his band will command the stage and celebrate their audacious new CD Release “Time Ain’t Free.” Transcending ordinary bounds of blues genre, Moss combines raw sounds of guitar, harmonica and vocals to create a sound that is exciting and full of pure talent. 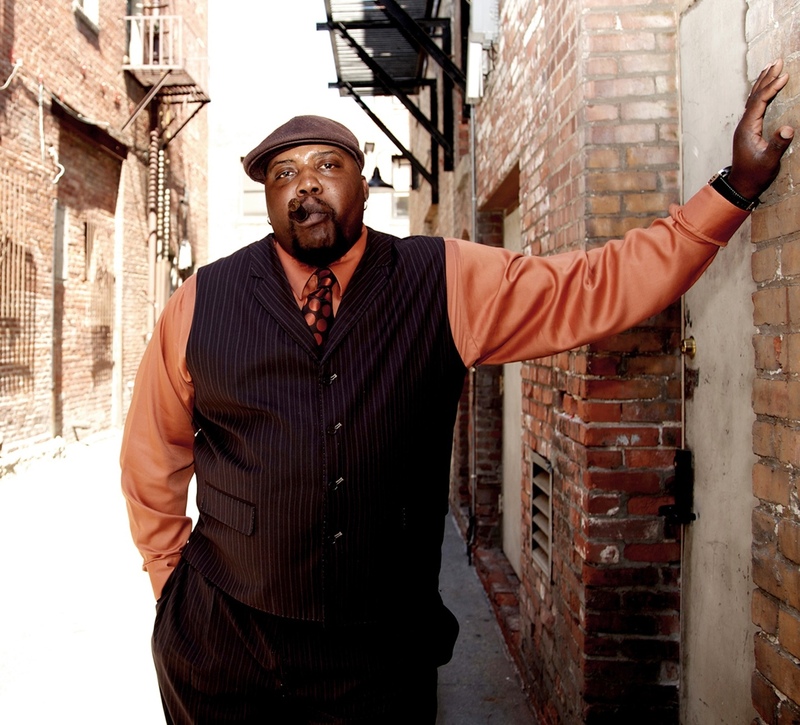 Sugaray Rayford will grace the stage on the nights of June 6 and June 7. When Sugaray belts out a song, listeners not only hear it; they feel it. The excitement in the room is palpable when he takes the stage; he is a superb vocalist and entertainer. Friday, June 13, Biscuits and Blues is proud to present their monthly installment of the fabulous Lavay Smith, “The Queen of Classic Jazz and Blues” and her Red Hot Skillet Lickers. The saucy vocalist and her eight-piece crew masterfully craft smooth R&B sounds to keep audiences tantalized and transfixed. Saturday, June 14, the Greg Nagy Band will be performing their music, which is refreshingly authentic bathed with elements of soul, R&B, rock and gospel. His vocals and guitar chop mark him one of the foremost artists shaping contemporary blues. On Father’s Day, Sunday, June 15, Biscuits and Blues is honored to feature Alvon, the classic, authentic blues artist and 2005 Blues Guitar Player of the Year. With vocal influences like Frank Sinatra and Nat King Cole, Alvon’s classic blues performance proves blues is as good as it has ever been. Thursday, June 19, the powerhouse duo Chris James and Patrick Rynn take over the bandstand, performing “deep, satisfying blues with a high-energy swagger.” The duo is known to cut loose during their electric blues sets with powerful vocals and terrific guitar play. Karen Lovely brings her rip roaring vocals back to Biscuits and Blues for two fantastic shows on Friday, June 20. Known for her passionate, driven performances and always backed by stellar musicians, this powerhouse vocalist delivers a blistering mix of contemporary and old school blues. 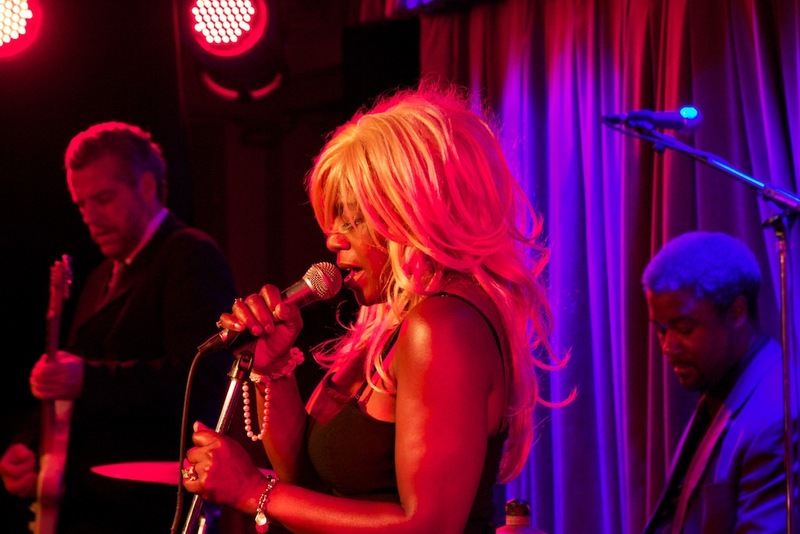 Saturday, June 21, Café R&B hits the stage for a fun-filled night of rhythm and blues. Imagine Etta James riding a Harley out of an active volcano, and one will have some vague inkling as to the vocal power emanating from 'Roach', the front woman of L.A.
Saturday, June 28, the fantastically soulful Earl Thomas & the Rhumboogies will tear up the stage of Biscuits and Blues. Earl’s passion and raw talent emanate from the stage, which lights up with energy and charisma each time he performs. The Earl Thomas shows sell out quickly! Reservations are highly recommended. To celebrate the Fourth of July, Junior Watson will be performing an electrifying “Red, White, and Blues” concert at Biscuits and Blues. Junior is a fan-favorite for his eclectic, original take on the electric blues, with extra reverb. He has described himself as a wild artist: “like a train off the tracks.” His diverse influences coupled with his creative, individualistic style makes for one of the most fun blues shows around. Reservations and ticket purchases can be made by calling the Box Office at (415) 292-2583 or going to http://www.biscuitsandblues.com/tickets. Biscuits and Blues is proud to announce the addition of two new menu items to make guests’ experience even sweeter. The first delight is a chocolate mousse cake with decadent sheets of thin milk and dark chocolate, layered lightly with a rich creamy flavor. The Skillet Licker is named affectionately after the one and only Lavay Smith & Her Band. The Skillet Licker’s smooth taste is comprised of 1800 silver tequila, melon liqueur, sour & lime juice. It is sweet and sassy, like the Skillet Lickers themselves. To plan a fantastic night full of stellar blues music, delicious southern cuisine and California fine wines, please visit the Biscuits and Blues website: http://www.biscuitsandblues.com. 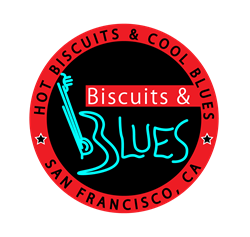 Biscuits and Blues is a full restaurant, bar and nightclub and one of the reasons why San Francisco is on the map for music lovers. Located at 401 Mason St. at Geary, they have been voted America’s #1 Blues nightclub by the Blues Foundation and the Bay Area Blues Society. It is San Francisco’s home to great live music in an intimate setting, where everyone gets a front row seat. Biscuits and Blues features savory award-winning Southern-style cuisine, California wines, micro-brews and specialty cocktails – all at reasonable prices that please tourists and loyal Bay Area clientele. Biscuits and Blues is also an event venue for parties. They can host everything from office parties to family reunions. For more information and current lineup, please visit their website.